M88-489 was entirely disassembled, anything that consists of more than one single piece of metal was taken apart. The individual parts were all inspected and subsequently cleaned and revitalized or replaced. All the big pieces were bead-blasted down to bare metal and refinished. 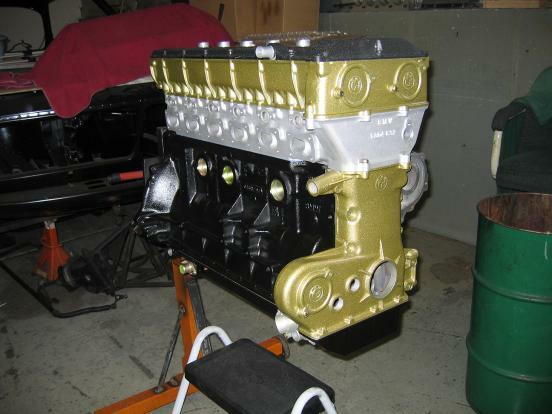 This is just the shell of the engine, no pistons, connecting rods or crankshaft yet, but it gives a nice picture of what the engine will look like after Tom Kelly at the WerkShop is done with it. This is a nice illustration of why I like the restorations by the WerkShop so much. 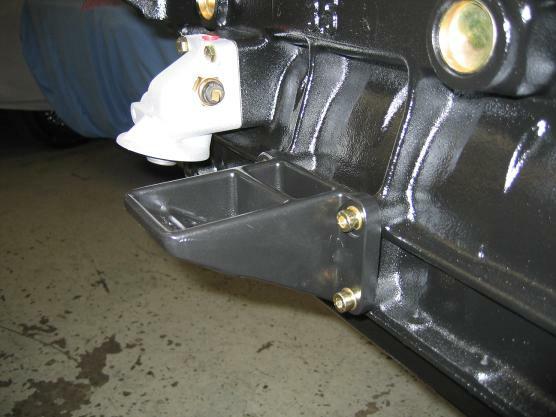 This is one of the mounts that at some point will be used to put the engine back in the frame. When the NameLess One is done it will be impossible to actually see this motor mount. The part is still bead blasted and refinished, despite this lack of visibility. All parts receive the same treatment and R.E.S.P.E.C.T.